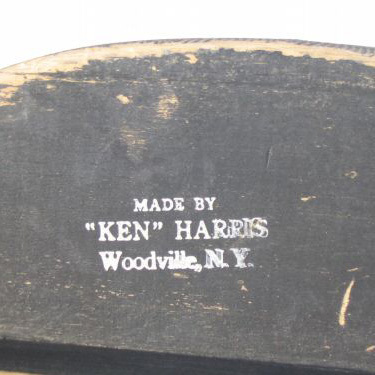 Born in 1906, Ken Harris of Woodville, New York, was a duck hunter, musician and claims adjuster for an insurance company who took up decoy carving as a hobby to satisfy his own need for decoys to hunt over. 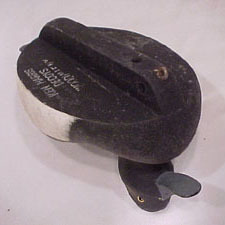 Allegedly, he decided to carve a black duck decoy to disprove the claim that black ducks were not attracted to decoys. Apparently, his "true to life" decoys were successful, and everyone wanted them. Harris continued to make working decoys in his spare time for a number of years. 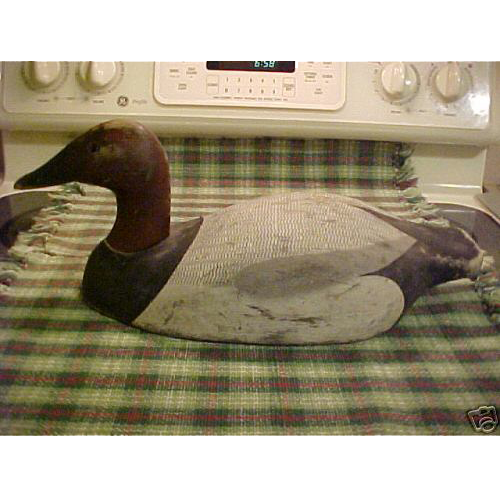 In addition to his black ducks, Harris is known to have produced canvasback, Canada goose, bluebill, mallard, and teal decoys. His name and hometown are stamped on the bottom of many of his decoys. In the early 1960s, Harris retired from the insurance business and began to produce decorative bird carvings. He employed two assistants, Sterling "Stub" O'Young and John Illingworth of Adams, New York to sand and paint what he carved. 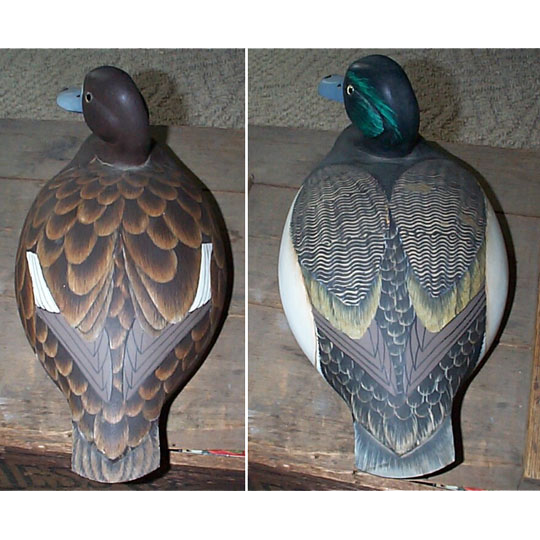 Harris was a superb carver who produced a wide range of working decoys and decorative pieces. He carved many special edition decoys for display only, including several miniatures and other ducks that he made into lamps. Harris' decoys are well known by collectors for the high level of detail and realistic features and is easily recognized. He died after a long career in carving in 1981.